'Chinoiserie' 2006 - Machine knitted sock, Louis-heeled court shoe with bump toe and brocade detail. 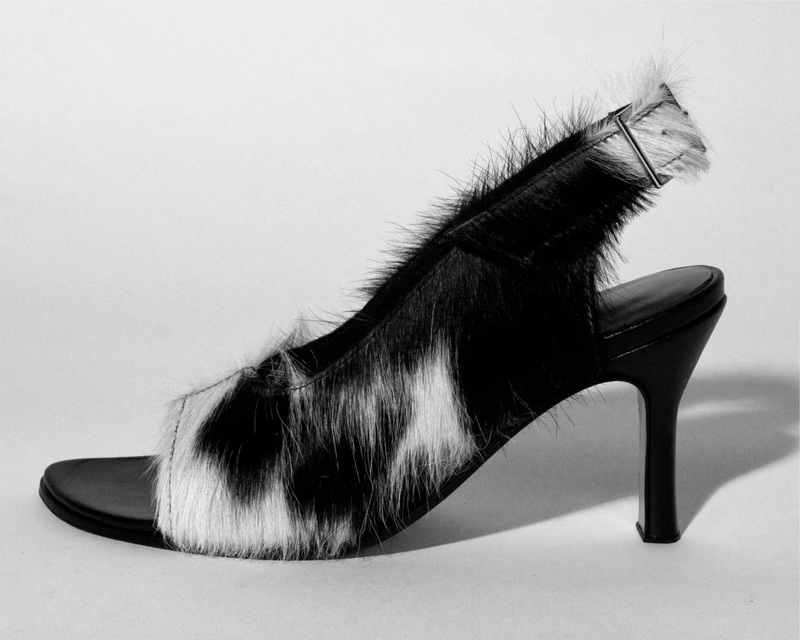 'Alicante' 2008 - Commission for Angus McDonald, cowhide peep toe slingbacks. 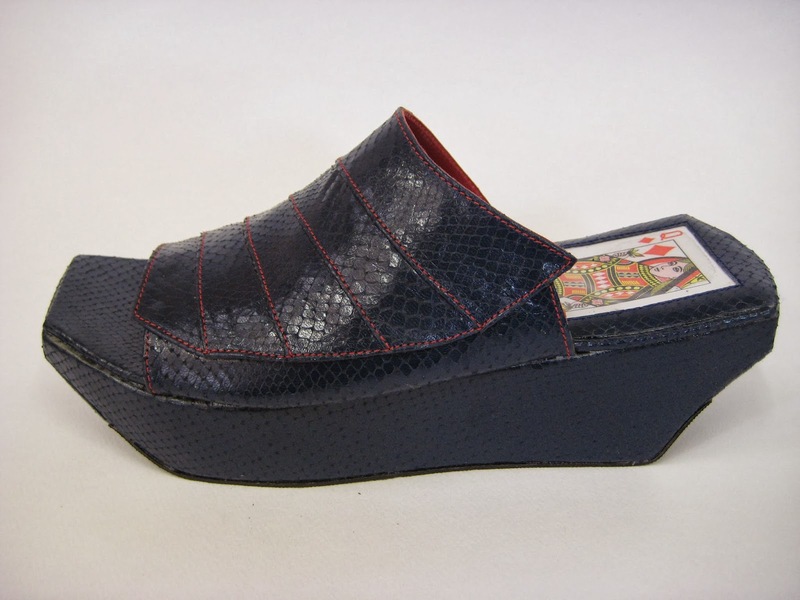 'Hong Kong' 2008 - Slip on inspired by traditional Junk boats, platform wedge sole. 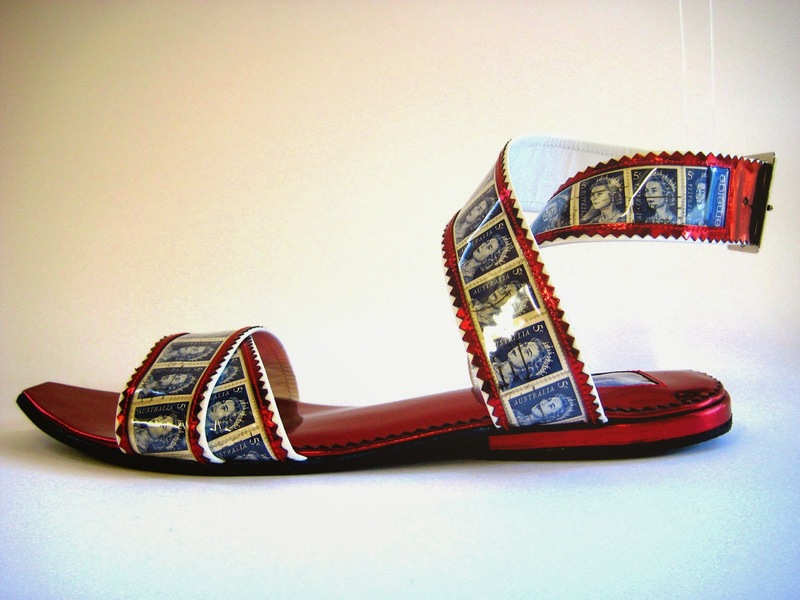 'Queenie' 2009 - Metallic sandal with postage stamp details. 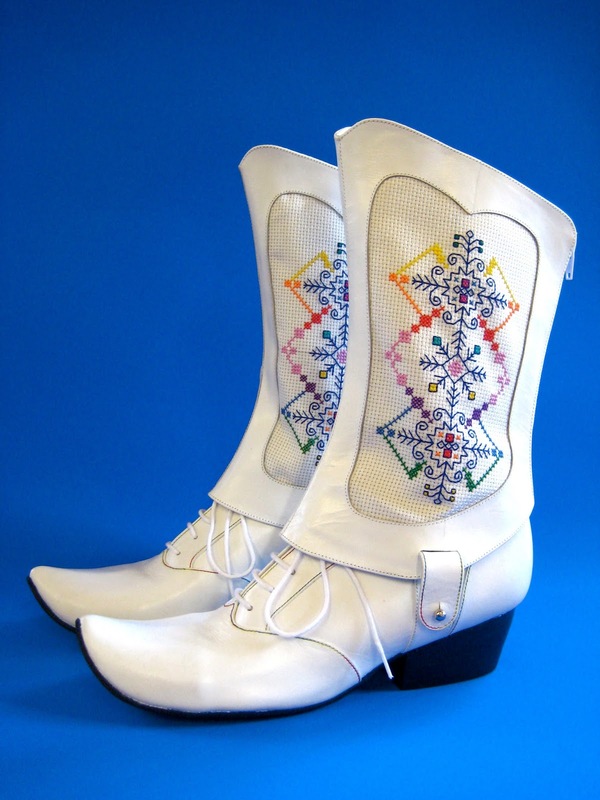 'Printemps' 2009 - White oxfords with rainbow stitching, navy blue cuban heel, and hand-stitched detachable spats. 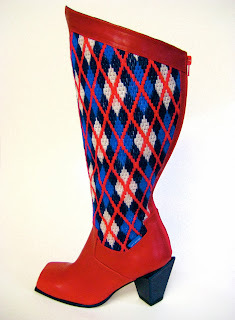 'Hero' 2012 - Hand-embroidered superhero boots with square toe and offset heel. 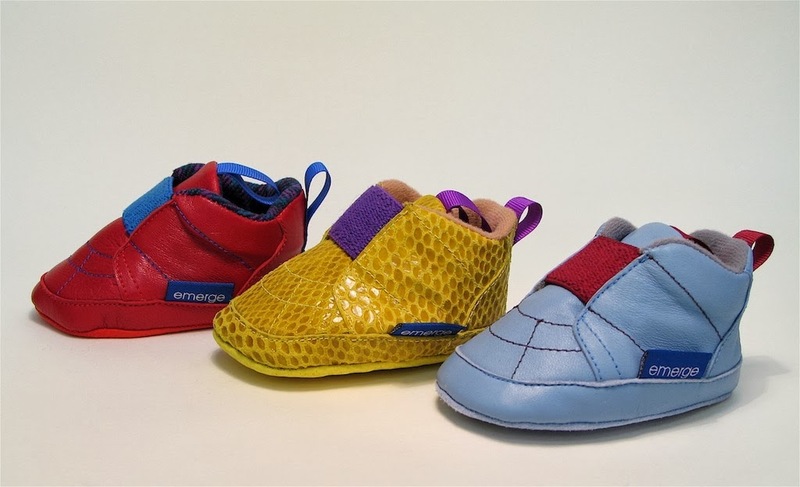 'Baby Sneaks' 2005 - Fully lined slip-ons for the stylish bubba. 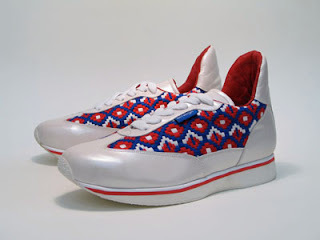 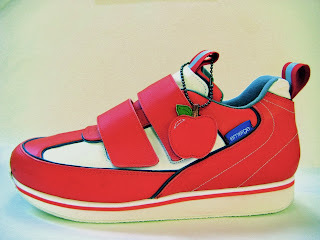 'NYC Kicks' 2005 - Fresh handmade trainers with velcro closure and hand-shaped sole. Tour de France' 2005 - Hand-embroidered pearlescent trainers with hand-shaped sole. 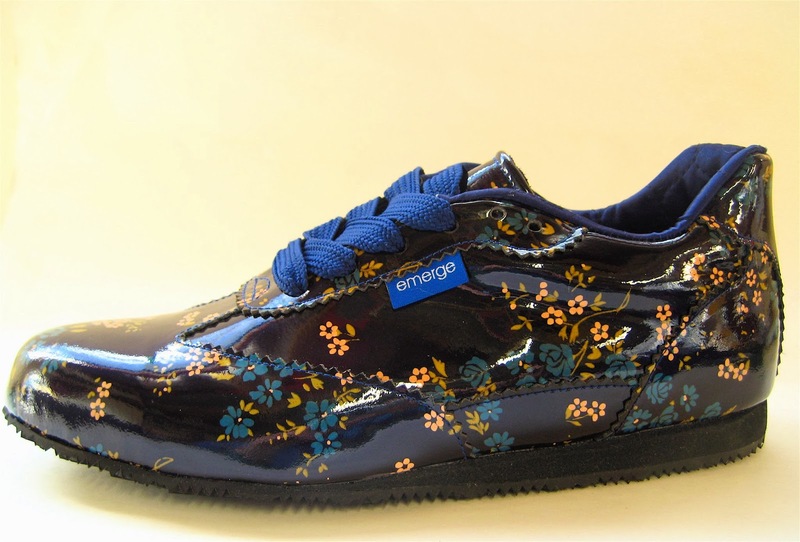 'Botanica' 2008 - Floral patent trainers. 'Tron' 2009 - Collaboration with Sync from Everfresh, patent boots with top-stitched details. 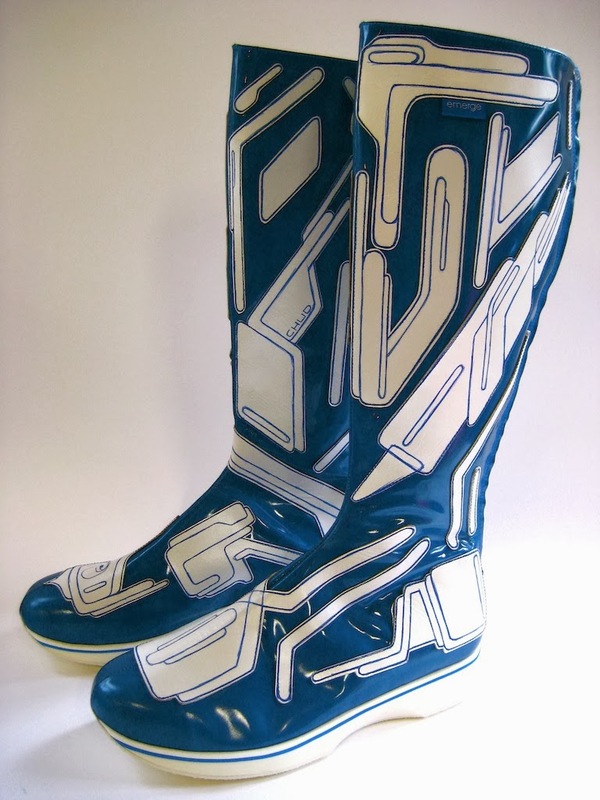 Emma Greenwood is a pedantic Aquarian craftswoman, trained in sculpture, printmaking and custom-made footwear. 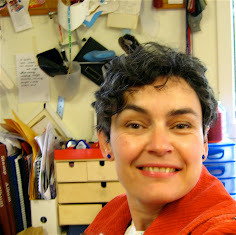 Emma is passionate about yoga and crochet, and loves argyle knee socks, Princess Leia, colour spectrums, stamp collecting and drinking tea. 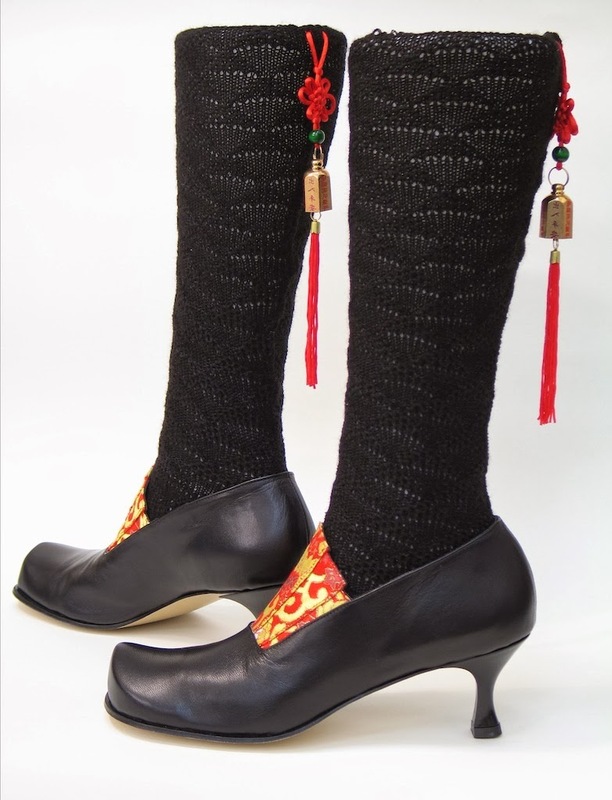 Either bespoke and highly customised, or in small production runs, she lovingly handcrafts her footwear and accessories entirely from her Melbourne studio.